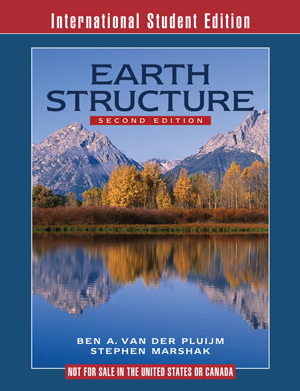 Earth Structure - Description | W. W. Norton & Company Ltd.
For the Second Edition of Earth Structure: An Introduction to Structural Geology and Tectonics, the authors have heavily revised each chapter while preserving the overall structure of the First Edition. The Second Edition also benefits from new artwork that clearly illustrates complex concepts. Within Chapters 21 and 22, four new essays on "Regional Perspectives" discuss the European Alps, the Altaids, the Appalachians, and the Cascadia Wedge. New and updated art for more informative illustration of concepts. The Second Edition now has 570 black & white figures. A hands-on, visual learning experience for physical geology. 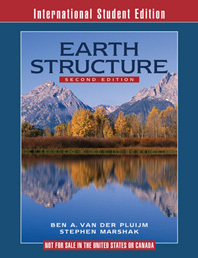 The most dynamic, hands-on introduction to physical geology. Experience Earth Science with fresh eyes! Stephen Marshak’s bestselling text and media make geology easy for students to understand. Engaging, hands-on, and visual—the geology manual that helps your students think like a geologist.